The level of lottery grants paid to good causes in Banff and Buchan has shot up a staggering 150-fold in just two years. The total for awards has soared since a series of awareness roadshows was run to give local groups advice on how to bid for cash. Figures released by the Scottish Parliament's library have revealed the Big Lottery Fund paid out just £3,880 in the Banff and Buchan area in the 2003/04 financial year. The following year the figure had jumped to £29,862. And in 2005/06 it was a whopping £588,369. 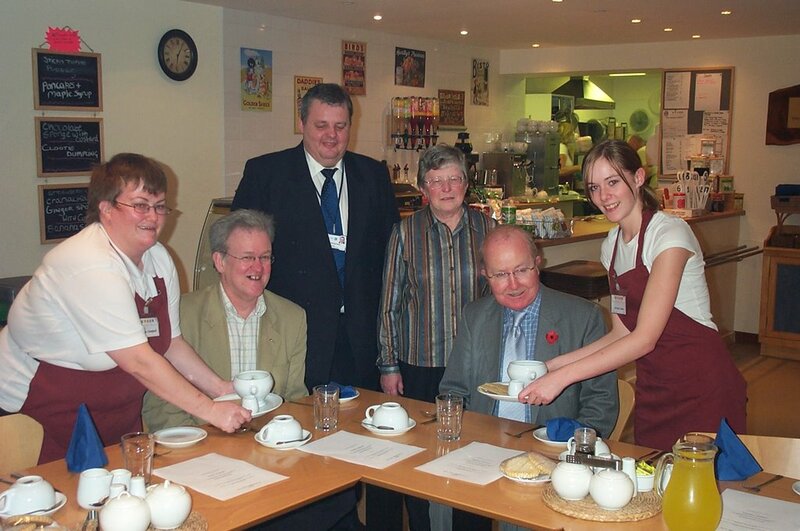 Local MSP Stewart Stevenson has been campaigning for organisations in his constituency to win a bigger slice of the cash on offer, and, in 2004, he organised a lottery roadshow. He invited all the funding bodies to sent representatives and host information stands. The event was a huge success and queues formed outside the venue before it started. 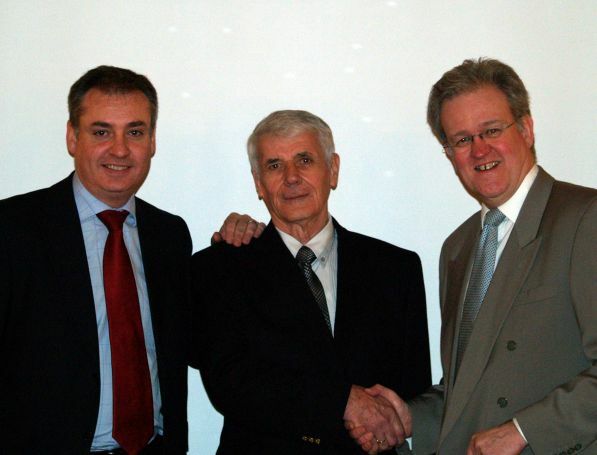 Mr Stevenson said: "I am thrilled by this news. It shows that things are clearly moving in the right direction, and I am delighted for all the local organisations which have benefited. "Three years ago I set out to try to address the funding imbalance which existed with the lottery. "That was partly down to lack of awareness on the part of the funders, but also due to a lack of readily available advice for local organisations as the lottery funders had their bases some way away from us, making it easy for city-based groups to access advice, but not so easy for those in the north-east. "I am pleased that the financial support awarded by the Big Lottery Fund to Banff and Buchan projects is showing a very healthy upwards trend. "I know from my travels around my constituency that lottery funding is put to very good use indeed, and I will be working hard to support local organisations to ensure that this continues." One of the big winners in the awards made during 2005/06 was a community cafe project in the village of St Combs, near Fraserburgh, which landed a £180,000 grant. Earlier this month, the Maud-based community computer and information technology learning scheme Bites was awarded £286,000 to help it move to new premises and employ extra staff. In the summer, the Buchan Development Partnership hosted a forum in Hatton to give local groups an insight into ways of boosting their funds. The Big Lottery will make £257million available to projects across Scotland over the next three years. The fight to save three north-east maternity units is to be taken to the Highlands. Banff and Buchan MSP Stewart Stevenson will visit the birthing centre at Broadford on Skye on a fact-finding mission. He hopes to gather information which will help strengthen the case for keeping open delivery rooms at Fraserburgh, Banff and Aboyne. In April, NHS Grampian backed proposals to shut them. But earlier this month, Health Minister Andy Kerr ordered a review of the closures scheme. He wants the health board to investigate whether or not there is scope for providing birth units for low-risk mothers, "along the lines of models already in place in other parts of rural Scotland". SNP MSP Mr Stevenson has played a key role in the battle to save the threatened north-east maternities, and he arranged a meeting between campaigners from the Broch and Mr Kerr. He said: "The minister for health, in his response to NHS Grampian, sent a clear message that he wanted to see maternity services in some shape or form continue in Fraserburgh and Banff, as well as Aboyne. "That is absolutely right, and was a tremendous rebuff for the health board's plans, which have been dogged by controversy and badly mishandled from the outset. "The type of birth units which the minister referred to have been working very successfully in the NHS Highland area for some years now. "I have therefore arranged with NHS Highland to go on a fact-finding mission to visit one of their units and to see for myself what lessons we can learn from them. "I feel that this will provide some important ammunition in the fight against NHS Grampian, who will no doubt be keen to rubbish the idea as unworkable when in actual fact it has been working well in the neighbouring health authority for years." After a public consultation - which was criticised by campaigners as not being wide-ranging enough - the Aberdeenshire Community Health Partnership, which is responsible for organising and providing NHS services in the area, recommended the closure of the Fraserburgh, Aboyne, Banff and Huntly maternity units. Its proposals, which involve keeping open the delivery ward at Peterhead Hospital but setting it targets, were backed by the NHS Grampian board. Health chiefs insist they are only responding to the falling birth rate and the growing population of elderly people. Mr Kerr has asked the board members to submit their review of the maternity proposals to him by the end of January. Banff & Buchan SNP MSP Stewart Stevenson has called for the Scottish Executive to take urgent action to rein in the Scottish Environment Protection Agency (SEPA) which he has described as completely out of control. The move comes after Mr Stevenson discovered SEPA was charging farmers in Scotland over £1000 more under the Integrated Pollution Prevention & Control (IPPC) Regulations then the Environment Agency was charging under the same regulations in England and Wales. And the SNP MSP accused SEPA of squeezing money out of farmers to pay for the vast increase in its own staff numbers. Mr Stevenson - a long-standing critic of SEPA - earlier this year attacked the agency for charging farmers for using tar planings from roadworks to mend their farm tracks while the Environment Agency in England had adopted a common-sense approach and had waived its charges in a bid to encourage re-use and recycling of the material. “SEPA have been caught out yet again. It is quite clear that their approach is to maximise the amount of money they can squeeze out of farmers in order to pay for the huge increase in staff numbers in recent years. “It is quite incredible that, once again, SEPA have been caught levying charges for licences when the Environment Agency south of the border have demonstrated a common-sense approach to regulation. “SEPA staff numbers have increased from 750 in 1999/2000 to 1145 in 2005/06 and it is difficult to escape the conclusion that they are now trying to find the means to pay for this huge expansion. In a reply to Stewart Stevenson MSP dated 8 November 2006 Deputy Minister for the Environment & Rural Affairs Rhona Brankin advised that SEPA charges were £3590 for an application with annual subsistence charges of £3157 for a large site and £2521 for a small site. In a reply dated 29 November to Alex Salmond MP, DEFRA Minister for Local Environment Ben Bradshaw advised that the Environment Agency (England & Wales)’s annual subsistence charges were £2794 for a large site and £2229 for a small site. However, after negotiation with industry representatives, between August 2007 and March 2008 these figures will be £1844 and £1471 respectively. This is over £1300 and £1050 respectively cheaper than SEPA’s charging scale. According to the Environment Agency’s website, the application fee in England and Wales is £3331. In her letter, Deputy Minister Rhona Brankin states: “It is for SEPA to explain the basis of its charges and I would encourage you to ask for this information from SEPA’s Director of Finance”, suggesting some unhappiness at SEPA’s position on the part of the Minister. A North-east MSP has pledged to pursue a series of water bill blunders with the watchdog group set up to protect customers. Stewart Stevenson believes businesses in the Peterhead area have been let down "quite spectacularly". He has repeated his demand that none of the companies which were issued with demands for huge payments should suffer because of mistakes made when their meters were being read. The Banff and Buchan MSP has already secured an apology from Scottish Water for a series of errors which resulted in some local firms getting bills several times their normal quarterly average. Raymond Matthew, owner of Bailie's lounge bar in Broad Street, Peterhead, received a demand for nearly £1,400, more than four times his usual charge. Kenneth Watt, proprietor of the Palace Hotel in Prince Street, was left stunned when he was asked to stump up £35,000 - 10 times what he normally pays for a three-month period. Mr Stevenson has held talks with Scottish Water and officials from the industry regulator, Waterwatch Scotland. He said: "This has been a hugely worrying issue for the businesses affected, some of whom have received quite substantial bills. "It is now clear that Scottish Water - and their meter-reading contractor, Yorkshire-based H2O Water Services - failed in their duty of care to their customers quite spectacularly. "Disciplinary proceedings have been initiated against one member of staff, and another has left the employment of H2O. "Incredibly, after all this time and investigation, Scottish Water are still unable to say whether the meters in question were read incorrectly or not read at all. I received an update on the procedures which have now been tightened up and the lessons learned from this episode. "I re-emphasised to Scottish Water that on no account must any business or individual be disadvantaged as a result of this failure. "I have therefore asked Scottish Water to investigate the terms of their contract with H2O to see what action may be taken against that company. "There are also several aspects of this case which I will be pursuing with the ombudsman body, Waterwatch Scotland." Scottish Water insists none of the businesses caught up in the bills bungle has been overcharged. It says that after correct meter readings were taken they resulted in higher figures and that bills were "falling back into their normal pattern". It has admitted its meter reading system was "compromised" for about a year. No one was available to comment at Scottish Water yesterday. Shadow Deputy Justice Minister, SNP MSP for Banff & Buchan Stewart Stevenson has today ( Thursday 21 December) received a response from Justice Minister Cathy Jamieson to his parliamentary question regarding pay increases for prison staff in light of the current conditions of overcrowding. The Minister stated that pay negotiations for prison staff were the responsibility of the Scottish Prison Service and not the Scottish Executive. "Due to the extreme overcrowding of Scottish prisons a massive strain has been placed on prison workers who are being stretched to their limit without receiving any corresponding pay increase. "The Minister by choosing to answer in this way has clearly passed the buck fully into the hands of the SPS. This illustrates the Scottish Executive’s failure to offer leadership while ducking responsibility for the appalling state of Scottish Prisons. As Justice Minister Ms. Jamieson has a duty to ensure that prison staff needs in relation to pay, conditions and working environment are satisfactorily met. "I am sorely disappointed by the Scottish Executive’s meagre response to this issue. The prison population has continually ballooned year on year under this Lib-Lab government and today we have a prison population almost topping the 7,000 mark - a shambolic statistic. These numbers have a severe impact not only on prisoners but also on prison staff who continue to go uncompensated for their deteriorating working conditions. "Prison workers perform a vital role in Scotland’s criminal justice system and it is disgraceful that the Scottish Executive has failed to take their welfare seriously. I fully intend to raise this issue with the Justice Minister as a matter of priority when I meet with her in the New Year. Banff & Buchan MSP Stewart Stevenson today met with Scottish Water chiefs in the Scottish Parliament. Water chiefs were summoned to Holyrood by Mr Stevenson following recent instances in Peterhead where businesses received bills far in excess of their quarterly average due to meter reading errors. Officials from Waterwatch Scotland – the water industry watchdog – were also in attendance. “This has been a hugely worrying issue for the businesses affected, some of whom have received quite substantial bills. “It is now clear that Scottish Water, and their meter-reading contractor, Yorkshire-based H2O Water Services – failed in their duty of care to their customers quite spectacularly. Disciplinary proceedings have been initiated against one member of staff and another has left the employment of H2O. “Incredibly, after all this time and investigation, Scottish Water are still unable to say whether the meters in question were read incorrectly or not read at all. I received an update on the procedures which have now been tightened up and the lessons learned from this episode. "The Labour and Lib Dem governments short term fixes on Scotland's drugs problems have failed which is why it's time for a long term solution. A Scottish drugs commission could help achieve this by considering and reaching a Scottish consensus on action to be taken. 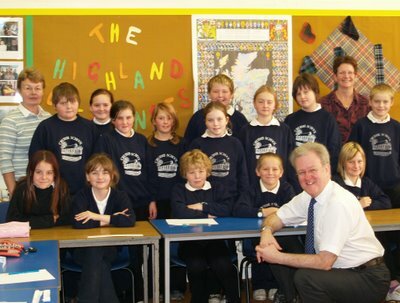 "Drugs are a plague on our communities which is why next year an SNP Government will also prioritise rehabilitation and counselling services for those with addictions, ensure there is adequate teacher training on drugs awareness for schools throughout Scotland and importantly, we will tackle the root cause of many drugs addictions, social deprivation." Stevenson Brands European Fisheries Negotiations As "No Longer Fit For Purpose"
The annual Fisheries Debate in the Scottish Parliament has taken place once again in advance of the December European fisheries meeting in Brussels. Banff & Buchan MSP Stewart Stevenson has once again called for withdrawal from the Common Fisheries Policy and for more industry input into fisheries policy making. Member of the Scottish Parliament for Banff & Buchan Stewart Stevenson MSP today slammed the Government for failing to give practical support for the Rural Post Office Network in Scotland. The Government have announced that 2500 post offices face closure throughout the UK, with Scotland’s rural post offices being particularly heavily hit by this decision. “I recently took part in a debate in the Scottish Parliament, in which I pushed hard for the Scottish Executive to make forceful representations to the UK Government to prevent Scottish post offices being wiped out. “They clearly have not done so and this is quite simply not acceptable to communities throughout Scotland. Post offices in the rural areas of Banff & Buchan are a vital backbone of local community life, essential to both the economies and social life of these areas. “I am sorely disappointed with the Scottish Executive for failing to make adequate representations to the UK Government to secure the future of the rural post office network in Scotland. The outcome of this decision will hit Scottish rural community life hard and this clearly has not been considered by the Government. Banff & Buchan MSP Stewart Stevenson has welcomed the response of the Health Minister Andy Kerr to NHS Grampian’s plans to axe the maternity units at Banff and Fraserburgh. In a rebuff to the Health Board, the Minister has pointed the Board in the direction of ‘birth-units’ which are already proving popular in other parts of rural Scotland. “The Minister’s rebuff to NHS Grampian’s plans to axe local maternity units is excellent news indeed. Of course, I would have preferred it if the Minister had rejected the plans outright, but as things stand, we now have a very good chance of getting birth-units in Fraserburgh and Banff similar to those which have been working very well for some time in the NHS Highland area. “It is clear that the Minister wishes to see continued, if redesigned, maternity services in Banff and Fraserburgh. “For NHS Grampian to claim that their strategy on this is in line with national policy smacks of desperate PR spin to me. It has been clearly demonstrated by the Minister’s response that, on maternity services, NHS Grampian is woefully out of step with national policy which is that health services should be delivered locally. “Today’s announcement is a significant victory for the ladies who have campaigned in Banff and Fraserburgh – who I’ve been proud to host on visits to Parliament several times as part of that campaign - and I send them my congratulations on their deserved success. “In considering the future of Maud Hospital the needs of the patients currently in the hospital must be put first. A NORTH-east MSP has described NHS Grampian's decision to axe four Aberdeenshire maternity units as "bizarre". Stewart Stevenson said the health board's decision to recommend the closure of the baby wards at Fraserburgh, Banff, Huntly and Aboyne is "at odds" with the Scottish Executive's own policy on midwifery services. And he has urged ministers to back calls from campaign groups who have been battling for almost 18 months to keep open rural delivery rooms. Banff and Buchan MSP Mr Stevenson spoke out at yesterday's meeting of Holyrood's public petitions committee. Members were debating a plea from Broch maternity action group member Lynne Simpson asking them to put pressure on the executive to "ensure that the quality and access to services are retained locally". SNP MSP Mr Stevenson visited Fraserburgh Hospital's baby unit shortly after the Press and Journal revealed in summer last year that it was under threat. He also joined 600 people at a protest march and rally in the Buchan port, and last month he organised a meeting between campaigners from the Broch and Health Minister Andy Kerr, who will have the final say on the future of Aberdeenshire's maternity services. Mr Stevenson said: "The discussion at the petitions committee was a useful opportunity to once again underline the strong arguments in favour of keeping health services local. "The policy of NHS Grampian is entirely at odds with stated Government policy. "This is all the more bizarre when one considers that Fraserburgh is the only town in Scotland with a population of more than 10,000 which is more than one hour away from an acute services hospital. "The committee has agreed to continue its consideration of this vitally important issue in light of the ministerial decision, which is expected shortly." Following a public consultation - which was criticised by campaigners as not being wide-ranging enough - the Aberdeenshire Community Health Partnership, which is responsible for organising and providing NHS services in the area, recommended the closure of the Fraserburgh, Aboyne, Banff and Huntly maternity units. Its proposals, which involve keeping open the ward at Peterhead Hospital but setting it targets, were backed by NHS Grampian's board in April. Sufferers of asbestos-related cancer will be able to lodge compensation claims from next week, even though a bill allowing the move is not yet law. Those affected are currently forced to choose between claiming damages for themselves or allowing relatives to claim after their death. The Mesothelioma Damages Bill is to be amended to enable people to benefit from its provisions from 20 December. The unusual move is thought to be unprecedented. Deputy Justice Minister Johann Lamont made the announcement to MSPs on Holyrood's Justice 1 Committee, who are scrutinising the proposed legislation. "Mesothelioma is a devastating disease - a cancer for which there is no cure," she said. "It can develop many years after exposure to asbestos and when it does, can kill fast. "It is only right that we do all we can to minimise the distress this problem causes to those suffering from this disease and to their families as speedily as possible." The move came about following consultation with families' representatives. The bill will allow a victim's immediate family to claim damages, even if the deceased settled a claim while alive. The amendment will mean that from next Wednesday mesothelioma sufferers will be able to proceed with their own claim in the knowledge that their families will not be disadvantaged. The change was welcomed by SNP MSP Stewart Stevenson. "Sufferers from this dreadful, and invariably fatal, disease will now have their wait for justice much shortened," he said. The amendment was also welcomed by solicitor Frank Maguire from Thompsons Solicitors, which represents the majority of asbestos victims in Scotland. "This is tremendous news for all those suffering from mesothelioma who have elected to die without claiming damages for themselves so as not to disadvantage their families," he said. He added that he would now begin proceedings for about 100 cases. Harry McCluskey, of Clydeside Action on Asbestos, described the move as tremendous news for victims and their families. "It will end the terrible dilemma they faced of having to claim for themselves and deprive their families, or choosing to die without claiming to protect their families' rights," he said. Banff & Buchan SNP MSP Stewart Stevenson has welcomed the announcement today from Transport Scotland that the preferred route for the dualling of the A90 Peterhead-Aberdeen road between Balmedie and Tipperty has been selected. But Mr Stevenson - a long-time campaigner for road improvements for the North-east - has criticised the Government for not taking the opportunity to go much further with dualling and improvements to the A90. “A good road infrastructure increases the number of miles that commercial drivers can travel within the time limits they are bound by. It reduces the number of overnight stops and increases the distances that buses and lorries driven by commercial drivers can go. “When I speak to businesses in my constituency who rely on road transport because we have no rail option in Banff & Buchan, this is the message that I get time and time again, so today’s news is a welcome step towards commencement of these improvement works. “However, it is extremely regrettable that the Scottish Government has not taken the opportunity to extend the dualling of the A90 north of Ellon as part of the same programme of development. Banff & Buchan MSP Stewart Stevenson today spoke out in Parliament in support of the threatened maternity units in his constituency. Mr Stevenson was speaking at a meeting of the Parliament’s Petitions Committee where the petition from Fraserburgh camapigner Lynne Simpson was being discussed. The SNP MSP, who visited the Broch Maternity Unit last August when the threat first became known and who joined hundreds of people at the march and rally in support of the Unit, has repeatedly urged NHS Grampian and the Scottish Executive to ‘keep maternity services local’. “This was a useful opportunity to once again underline the strong arguments in favour of keeping health services local. The policy of NHS Grampian is entirely at odds with stated Government policy. This is all the more bizarre when one considers that Fraserburgh is the only town in Scotland with a population of over 10,000 which is more than one hour away from an acute services hospital. "Following my suggestiing in the Justice 1 Committee last week that there was scope for backdating the provisions to an earlier date, I join members from all political parties in welcoming Executive plans to bring forward the implementation date for the bill to be 20th December 2006. "Sufferers from this dreadful, and invariably fatal, disease will now have their wait for justice much shortened. This has been a Parliament committee working at its best, puting the interests of citizens before partisanship. "The acceptance of this change by both the insurance industry and campaigners reflects a welcome consensus about the need for speed." “With the onset of wintry weather, I know that the road crews from both BEAR, and indeed the council, will do their utmost to make our roads safe. Scottish Water should pay the price for its own blunders - and not north-east businesses which have been hit by huge, backdated bills. The call for the company to waive at least some of the charges it has levied on pubs, hotels and shops in the Peterhead area was made last night by Banff and Buchan MSP Stewart Stevenson. He has already secured an apology from Scottish Water for a series of mistakes which resulted in some local firms getting bills 10 times their normal quarterly average. He will hold talks with company chiefs in Edinburgh later this month. Scottish Water has admitted its meter reading system was "compromised" for more than a year. It is believed the actions of a single employee - who either made mistakes or did not read meters at all - resulted in about 30 businesses being asked to "catch up" with their payments. Raymond Matthew, owner of Bailie's lounge bar in Broad Street, Peterhead, received a quarterly demand for nearly £1,400, more than four times his usual bill. 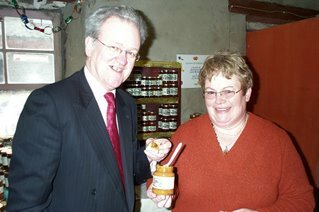 SNP MSP Mr Stevenson said: "Commercial companies which undercharge customers have to live with the consequences of that. "It is a discipline for them and a safeguard for their customers, who have to be able to plan for their businesses. "Many companies in Peterhead have had their financial planning thrown totally out of kilter and Scottish Water should be paying for its own incompetence and waiving at least part of these bills. "I will be meeting officials from the company later this month and I will be telling them that in no uncertain terms. "Businesses in my constituency should not have to suffer through no fault of their own." Scottish Water chief executive Jon Hargreaves said the company had learned from mistakes. He said a "comprehensive review" of its meter reading programme had been carried out. The company insists none of the businesses caught up in the bills bungle has been overcharged. DRUG addicts trying to kick their habit are facing longer waits for treatment, new figures show. There was a 40 per cent rise in the number of addicts waiting more than a year to be assessed for treatment. The figure soared from 353 to 495 between April and June compared to the previous three months, a report obtained by the SNP shows. Their drugs spokesman, Stewart Stevenson, said it showed services could not cope with demand. He said: "Waiting times like these are simply shameful. "They are particularly unacceptable when we have a strategy that rightly encourages addicts to seek help and take personal responsibility for their lives." The figures were provided by the NHS after questions from the Banff and Buchan MSP. They also showed around 800 people were waiting over six months for an assessment after being referred by a doctor. Addicts who had been assessed also faced longer delays to start their treatment. In June, 331 addicts had waited more than a year just for counselling - 30 more than at the start of the year. And there were 376 people waiting over a year for rehab either in the community or on a residential detox programme - up slightly from the start of the year. A further 190 were waiting a year for drug treatment - twice the level of January. Stevenson added: "The fact that 495 patients have had to wait over a year, and are still waiting, is unacceptable. "Nicola Sturgeon raised this important issue at First Minister's Questions eight months ago. But these figures show little progress has been made by this Labour and Lib Dem government since then." Scots Tory leader Annabel Goldie also criticised efforts to cut drug use, claiming the failure added to crime. A Scottish Executive spokeswoman claimed the figures were unreliable. But she added: "We know some people have unacceptably long waits for treatment. "Three-quarters of an additional £4million allocated last year was awarded for proposals to reduce waiting times." Speaking in Parliament yesterday, local SNP MSP Stewart Stevenson strongly defended rural Post Offices in Banff & Buchan from the threat of closure. Mr Stevenson highlighted the investment made in Maud Post Office by local businessman Mark Kindness as evidence that rural Post Offices can have a bright future, but only if they get the support they need from central Government. Post Offices have recently suffered a number of blows with the loss of the TV licensing renewal business and Government plans to phase out Post Office Card Accounts for pensions and benefits. “Rural communities are at the heart of the debate. I have the privilege of representing one of the three Parliamentary constituencies in Aberdeenshire, where some 57 per cent of people live in a rural setting, which is the highest rate of any mainland council area in Scotland. My constituency is more rural than the Highland Council area, by 2 per cent. The debate therefore reflects absolutely the concerns of my constituents. “We have vibrant local communities. There are 32 community council areas in my constituency and communities in my constituency have won the Calor Scottish community of the year award twice in the past five years. There is a huge sense of community in the area. The first place to win the award was Whitehills. During my annual summer surgery tour, I dropped in on the local post office at Whitehills to talk to Annette Addison, who is the postmistress there. In a community of 1,000, she gathered 900 signatures in an attempt to save the Post Office card account, which graphically indicates the value that the community of Whitehills places on the post office and the services that it delivers. “That happened when post offices had just lost the business of TV Licensing. It is worth putting that in context: in my constituency there are 42 local post offices, but Paypoint plc has only 28 terminals—a significant numerical difference. The situation is worse than members might think: only 10 of the Paypoint terminals are located outside towns that have a population of more than 10,000. The loss of TV Licensing has led to a dramatic drop in the service that is provided to our communities. Speaking in Parliament yesterday, local SNP MSP Stewart Stevenson praised the efforts of Banffshire sub-postmistress Annette Addison for gathering a 900-strong petition to save the Post Office Card Account. Local SNP MSP Stewart Stevenson has written to Enterprise Minister Nicol Stephen calling for Boyndie to be broadband enabled. The move follows the Minister’s statement last week, under questioning from SNP MSP John Swinney, that further work will be done to identify areas able to receive support to expand broadband availability. “Boyndie is a classic example of a community that is best-placed to take advantage of broadband facilities as a boost to commerce, communication and education in the area – especially since the Boyndie Centre has achieved SQA status. Many of these courses, including those to aid adult literacy, are internet-based and require broadband for optimum performance. “I am informed that several local households have already been sold broadband packages by BT – which will be unusable until such time as they can actually get a broadband connection. Banff & Buchan MSP Stewart Stevenson today (Monday) welcomed the news that the Scottish Parliament is to debate the future of rural post offices during Members’ Business this week. “I am glad that Parliament is to have an opportunity to debate the increasingly uncertain future of rural post offices and my SNP colleague John Swinney is to be congratulated for tabling the motion. “The motion notes the public concern over the future of the rural post office network in rural Scotland in the light of the proposed removal of the rural subsidy to our Post Offices by the UK Department of Trade and Industry (DTI) in 18 months’ time. “What is also of great concern is that while the DTI provides this subsidy, other UK government departments such as the Department for Work and Pensions, the Department for Transport and the Department for Culture, Media and Sport are taking decisions that reduce the volume and value of transactions that can be undertaken at post offices, thereby damaging their financial viability. “If our rural post office network is not supported there will be economic loss and loss of amenity in rural Banff & Buchan. I therefore feel that the Scottish Executive should make representations to the UK Government calling for a stable level of support that guarantees the viability of the rural post office network. "Rural post offices are a vital backbone of rural communities; they provide a range of services far beyond what could reasonably be expected and make a huge contribution to the economic and social health of local communities. "I hope that Ministers will agree after the debate to make the strongest possible representations to the UK Government about the importance of this network. "After more than seven years, the Labour-Liberal Government have finally realised that they have failed to make a dent on drug misuse in Scotland. "Cocaine use is rising rapidly while their focussing on methadone for heroin users has merely left many addicts stranded on another dependency. "Information about drug misuse has been hard to come by and unreliable. No wonder policy making has been haphazard and intermittent, merely responding to crises as they arise. "The short-life groups now being foreshadowed, which will have no defined remit until 2007, are a last roll of the dice of an administration gambling with Scots lives." 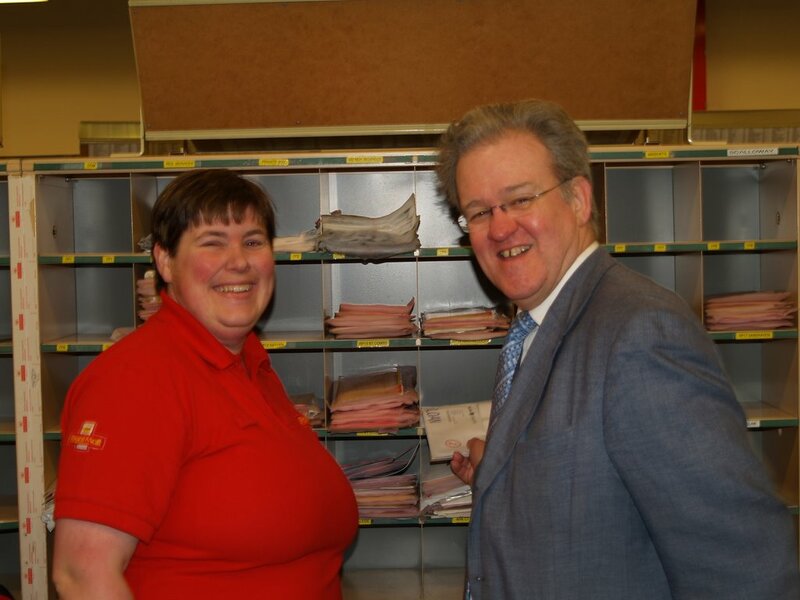 Banff & Buchan MSP Stewart Stevenson visited the Royal Mail Sorting Office at Fraserburgh where postal workers are gearing up for the Christmas mail mountain. The SNP MSP was welcomed by Delivery Office Manager Mr Peter Grant and met Fiona Bremner one of the posties who will process the 60,000 items expected at Fraserburgh today. Every year Royal Mail deliver hundreds of millions of Christmas cards as well as millions of Christmas parcels in addition to the regular mail. The Christmas rush has already begun in earnest and posties the length and breadth of the country will be putting in many long hours between now and 25 December. "I always enjoy visiting Fraserburgh Delivery Office to meet the staff there once again and see the scale of the operation. I have visited all the Royal Mail Delivery Offices in Banff & Buchan since I was elected in 2001 and this has turned into something of an annual engagement for me. “I never fail to be impressed by the commitment of the staff to moving the absolute mountain of mail they deal with at this time of year. In Scotland, Royal Mail delivers to all 2.5 million addresses, with an estimated 250 million cards, letters and parcels throughout the festive season. Throughout the whole of the UK – Royal Mail delivers to 27 million UK addresses, with an estimated mailbag of 2.1 billion cards, letters and parcels. Royal Mail has more than 350 years experience and a dedicated workforce; it is committed to delivering the massive mailbag expected for Christmas 2006. Local SNP MSP Stewart Stevenson has said that the vandalism to the Peterhead town Christmas Tree in Drummer’s Corner serves to further underline the need for CCTV in the burgh. Mr Stevenson – a long-time campaigner for CCTV cameras for Peterhead and Fraserburgh - was speaking after vandals struck the Christmas Tree, damaging the festive lights. “This is deeply disappointing for the organisers who have done their very best to brighten up the town with the tree and festive lights. The people who have carried out this malicious act deserve punishment and I hope that the public will rally round and report the individuals responsible. Fraserburgh Junior Arts Society will benefit from a £100 donation courtesy of Banff & Buchan MSP Stewart Stevenson taking part in a survey by research organisation MORI. MORI offered participating MSPs £100 to donate to a good cause for taking part. Mr Stevenson nominated Fraserburgh Junior Arts Society to receive the cash and will hand it over in person when he calls in on rehearsals for this year’s pantomime at Dalrymple Hall, Fraserburgh. Mr Stevenson will present the cheque at 2.00pm on Sunday 3 December. 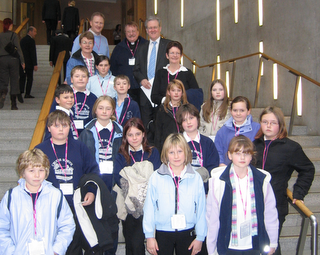 “I was pleased to be able to help Fraserburgh Junior Arts Society by simply answering some questions. Local MSP Stewart Stevenson has received an apology to his constituents from water bosses after businesses faced huge bills as a result of undercharging due to errors made by meter readers. Mr Stevenson wrote to Scottish Water after frequent reports of errors in the reading of water meters at local businesses demanding an urgent investigation, which has now been carried out. “This is an extremely serious matter for the businesses concerned. In one case, a business faced a quarterly bill of ten times the norm. “I am pleased that Scottish Water have had an investigation and have identified the cause. However, water meter users in my constituency need an assurance that there will be no repetition of this disgraceful episode and that is why I am requesting that water officials meet with me in Parliament to discuss these concerns. Local MSP Stewart Stevenson has been unanimously adopted as Scottish National Party candidate for next May’s elections to the Scottish Parliament. At a well-attended meeting in Barclay’s Hotel, Banff on Saturday night, the local Constituency Association of the SNP confirmed Stewart would defend the Banff & Buchan seat. Members and supporters from across the constituency gathered for the event where special guest and Moray by-election victor Richard Lochhead MSP paid a glowing tribute to Stewart and his work for the constituency. “It is a great honour to have been adopted once again as the SNP’s candidate for Banff & Buchan and it has been a privilege for me to represent this seat in the Scottish Parliament since 2001. “Next year's Scottish election is now a clear two-horse race between the SNP with growing momentum, and a tired London-led Labour Party who are losing support hand over fist. “Stewart is an outstanding ambassador for Banff & Buchan and is highly respected at Holyrood for his thoughtful contributions to debates on the issues that affect his constituents. Calor Scottish Community of the Year New Deer received Parliamentary recognition today when Banff & Buchan MSP Stewart Stevenson tabled a Motion in Parliament congratulating the community on their achievement. Mr Stevenson, who was present at the Edinburgh International Conference Centre with South Buchan councillor Norma Thomson, expressed his delight at the award, the second time in the last five years that a community from Banff & Buchan has scooped the top award. “I am absolutely delighted for the village and for the community activists who have helped bring this award to Buchan. “There is no doubt whatsoever that the “never say never” attitude displayed by the village when it was faced with losing its only bank was a key factor in all of this. It is quite unprecedented for a community faced with the withdrawal of a bank to take the campaign to other financial institutions and manage to attract a new bank to set up in the village. Banff & Buchan MSP Stewart Stevenson has welcomed the publication of a report by the Scottish Health Council which criticises NHS Grampian’s consultation process on the future of North-east maternity units. The Scottish Health Council has a remit to consider whether NHS Boards have adequately consulted their local populations in relation to significant NHS service change in accordance with existing guidance. “This is a welcome report and it confirms completely what local people have said all along about the manner in which NHS Grampian have conducted this whole exercise. “There are vitally important lessons here to be learned by NHS Grampian about how they treat local communities who value their health services and how to engage with local people on such issues of importance. “It is not the role of the Scottish Health Council to reach a view on the decisions made, but clearly it is common-sense to retain a maternity unit in a town of 12,000 people which is over one hour away from its nearest acute services hospital in Aberdeen. Banff & Buchan MSP Stewart Stevenson has congratulated community activists in New Deer on winning the Calor Scottish Community of the Year Award at a ceremony in Edinburgh today. Mr Stevenson, who was present at the Edinburgh International Conference Centre with South Buchan councillor Norma Thomson, expressed his delight at the award, the second time in the last five years that a community from Banff & Buchan has scopped the top award. Banff & Buchan MSP Stewart Stevenson has written to Rural Affairs Minister Ross Finnie on the latest proposals to introduce new rules in Nitrate Vulnerable Zones (NVZs). Currently, the whole of Banff & Buchan and large parts of Moray and Aberdeenshire are within the designated NVZs. Local SNP MSP Stewart Stevenson has commended the organisers and participants of the Maud Village Christmas Lights Fair. The event, which took place at the weekend and which was attended by Mr Stevenson and local councillor Norma Thomson was a resounding success and attracted a large number of stallholders and visitors throughout the day. “This was an extremely worthwhile community enterprise and I congratulate the organisers and the stall-holders on putting together an excellent event which had something for everyone. Banff & Buchan MSP Stewart Stevenson has paid tribute to former SNP councillor for Durn, Sandra Taylor, who died on Friday after a short illness. “Sandra will be remembered as an assiduous local councillor who took over from her husband Ian in what were very difficult circumstances for her but went on to serve her constituents with diligence. Sandra Taylor served as Aberdeenshire councillor for the Fordyce-Boyndie ward, later renamed Durn ward under boundary changes, from 1997 to 2002. Sandra won the seat at a by-election caused by the death of her husband, Dr Ian Taylor, the highly respected former Portsoy GP. Sandra stood down from the council in 2002 for health reasons and was suceeded by Ian Gray. Between 11.00am and 12.00pm Stewart Stevenson MSP will be supporting the Maud Village Christmas Lights Fair being held in The Square, Maud. 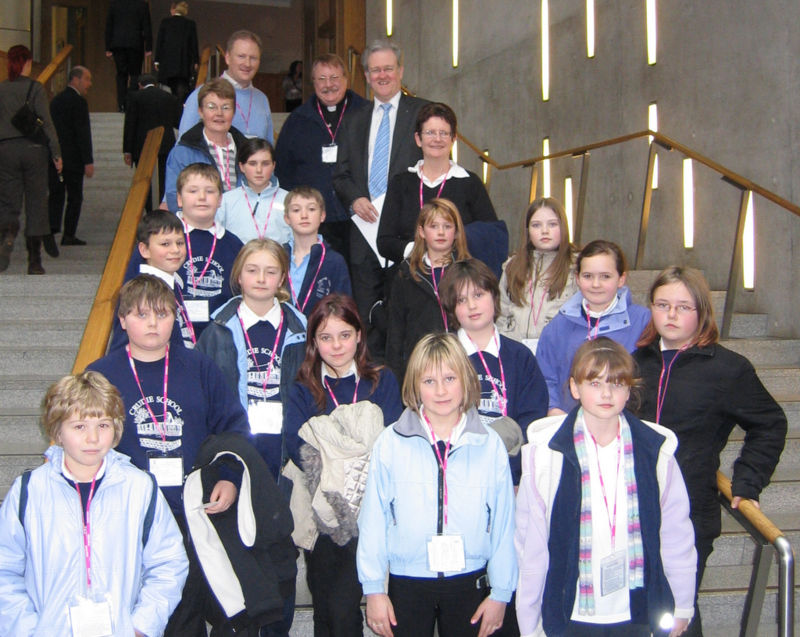 At 2.30pm Mr Stevenson will attend Peterhead Community Theatre, Balmoor Terrace, Peterhead for the premiere of ‘From the Mountains to the Sea’, seven short films by young Aberdeenshire filmmakers which includes a production by pupils of Hatton (Cruden) School in his constituency. Banff & Buchan MSP Stewart Stevenson has welcomed the commitment he has received from Deputy Minister for Health & Community Care Lewis Macdonald that the Scottish Dental Access Initiative will be revised to allow ‘bodies corporate’ to apply for grant aid. The move follows the recent case highlighted by Mr Stevenson where Fraserburgh businessman George Jack was denied grant funding to open a new dental facility in the town as he himself was not a dentist. The rules meant that the North-east was denied a new NHS dental practice which would have brought relief to the large number of people currently without an NHS dentist. “While it was bitterly disappointing that the Scottish Executive and NHS Grampian did not follow through on their promised support for the Fraserburgh proposal, it is clear that the controversy surrounding that decision has led to this rethink by the Minister. “I hope that this change in Government policy will increase the opportunities for addressing the extreme shortage of access to NHS dental facilities faced by many of my constituents and indeed in the North-east generally. Banff & Buchan MSP Stewart Stevenson took the fight for Fraserburgh Maternity Unit to the top this afternoon when he met with Minister for Health Andy Kerr. Mr Stevenson was accompanied by local campaigners Nicola Henderson and Mary Melville at the meeting which took place in St Andrew’s House in Edinburgh. “We had an hour with the Minister. It was a useful and frank exchange of views. The Minister assured us a decision would not be made on the basis of money. Health officials confirmed to us that it was perfectly possible to run a safe and effective midwife-led unit on the number of deliveries currently experienced at Fraserburgh. “The Minister accepted the considerable transport issues for friends, families and indeed expectant mothers of having to leave Fraserburgh for services, whether that be in Aberdeen or elsewhere. “Myself and the campaigners made the point forcibly that we had lost confidence in the management of NHS Grampian and that it would in any event be difficult to work with them on planning any detailed changes to health provision in Fraserburgh. FAMILY Mediation Grampian officially opened its smart new office suite at Marischal Chambers on Peterhead's Drummers Corner, Peterhead, yesterday (Monday). 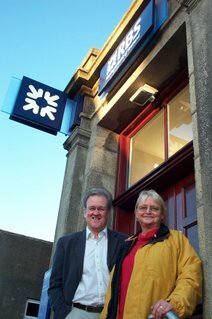 Local MSP and long time supporter of the service, Stewart Stevenson, performed the honours with Margaret Forbes, chair of Couple Counselling Grampian. Family Mediation Grampian is a registered charity offering a range of services to families who no longer live together. The pain of separation and divorce affects everyone, and these services help families make arrangements for the future. The service has operated from its former base in Peterhead for the past eight years and remains in the heart of the community. However, the move to larger, brighter premises heralds new opportunities that will meet the needs of local people, with Couple Counselling Grampian offering a support service from the same venue to people who need help with relationship problems. Elaine C. Smith, Patron of Family Mediation Scotland, commented: "What a brilliant idea to have these two services under the same roof! Sometimes people who are having problems don't really know if they need counselling or mediation, and if they are both available in these lovely new offices, then Family Mediation and Couple Counselling are really offering a convenient, flexible and accessible service to the people of North East Scotland." Primaries 6 & 7 pose after an exhausting question and answer session with the Banff & Buchan MSP. 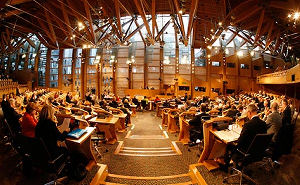 Next meeting will be at the Scottish Parliament in Edinburgh on December 7th. “While it was bitterly disappointing that the Scottish Executive and NHS Grampian did not follow through on their promised support for the Fraserburgh proposal, it is clear that the controversy surronding that decision has led to this rethink by the Minister. Banff & Buchan MSP Stewart Stevenson will officially open the new Peterhead premises of Family Mediation Grampian at Marischal Chambers, Drummers Corner, Peterhead on Monday 13 November at 1.30pm. Family Mediation Scotland is a voluntary organisation and a registered charity. It was set up in 1987 as a national umbrella organisation to promote and support the development of local family mediation services throughout Scotland. Family Mediation Grampian has offices in Aberdeen, Peterhead and Elgin. Banff & Buchan MSP Stewart Stevenson will fulfil a promise to visit pupils at Crudie School when he calls at 11.00am on Monday 13 November. Mr Stevenson received a visit from teacher Aileen Ironside when he called at Crudie during his summer surgery tour of villages, who invited him to visit the local school. The Banff & Buchan MSP will talk to pupils about his job as an MSP and will then face a grilling from the youngsters during their very own ‘Question Time session. “I always enjoy visiting schools in my constituency and the pupils always manage to think up some fairly searching questions so I will need to be on good form. Banff & Buchan MSP Stewart Stevenson has welcomed a commitment given by Environment and Rural Affairs Minister Ross Finnie that he will “look again” at the IPPC regulations. The SNP MSP had invited Mr Finnie to Banffshire to tour a local farm and meet with farmers representatives. During the meeting, Mr Stevenson raised the issue of the cost to poultry farmers of the IPPC regulations which has been an issue of concern to his constituents involved in the poultry sector. “Firstly, I was pleased that the Minister agreed to my request to come to Banffshire to meet with local farmers. There are a number of ongoing issues affecting the agriculture sector at the moment and I think this was a valuable opportunity to put across the local view at first hand. “I know from my constituents involved in the sector that the cost of simply applying for an IPPC permit at just under £3600 is a huge concern, added to that a further £2500 per annum simply to operate. And all this is before any requirements which may be imposed by the Scottish Environment Protection Agency as a result of the new regime. Banff & Buchan MSP Stewart Stevenson brought Environment and Rural Affairs Minister Ross Finnie to the Boyndie Visitor Centre this week. Mr Finnie was in the area at Mr Stevenson’s request to visit a local farm and meet with farmers representatives. Following the farm visit, the delegation held discussions at the Boyndie Centre. The meeting was rounded off in the evening with a very special meal cooked by chef Doug Hay and his staff using the best of local produce from Banffshire. Mr Stevenson also gave the Minister a brief tour of the Boyndie Centre, which Mr Finnie commented had been tastefully converted from its former use as a school, and later met with Boyndie Trust Director Agnes Lees. 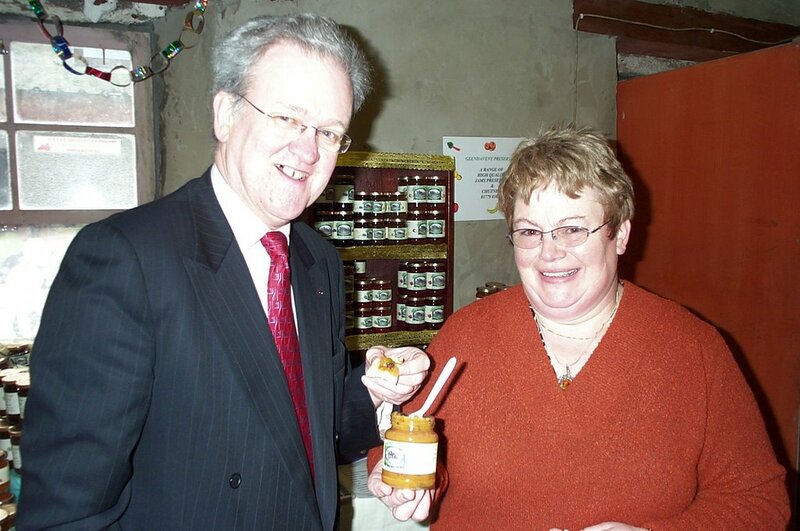 “I was pleased that the Minister agreed to my request to come to Banffshire to meet with local farmers. There are a number of ongoing issues affecting the agriculture sector at the moment and I think this was a valuable opportunity to put across the local view at first hand. Earlier in the day, Mr Stevenson, Mr Finnie, and NFU members visited Arthur Duguid’s farm at North Cranna, Aberchirder where they toured the livestock lines and discussed various issues including the current situation with LFA payments. With just 6 months to go until polling, Alex Salmond sets out his ambitions for Scotland. The SNP wants Scotland to match the success of Ireland, Norway and Iceland - all of them in the top six richest nations in the world. Alex Salmond sets out his ambition for a stronger economy, better public services and a fairer society. Banff & Buchan MSP Stewart Stevenson will welcome Environment and Rural Affairs Minister Ross Finnie to Banffshire on Monday 6 November. Mr Finnie is visiting at the invitation of Stewart Stevenson and will tour a farm at Aberchirder before attending a meeting with a representative group of North-east farmers at Boyndie. NFU Scotland President John Kinnaird will also be in attendance. 3.15pm Minister arrives and photocall at commencement of tour of North Cranna, Aberchirder AB54 7TX. 5.45pm Photocall at The Boyndie Centre, Old School, Boyndie, Banff AB45 2JT where the Minister, Mr Stevenson and farmers’ representatives will sit down to a meal prepared by The Boyndie Centre using local produce. THE Scottish Parliament last night finally agreed plans to set up a human rights watchdog for Scotland. After a year of controversy, the Executive's watered-down proposal to establish a human rights commission rather than a commissioner was endorsed by Holyrood. The new body, which will cost £1 million a year to run, will promote and oversee human rights compliance. Ministers were forced to retreat from their original plan for a commissioner after Labour MSPs joined opposition criticism earlier this year to the creation of another public-sector "tsar". The idea of establishing a commissioner - forced into the coalition partnership agreement by the Liberal Democrats - was also attacked by Lord McCluskey, a former High Court judge, who questioned the need for a £75,000 "gadfly" to tell public bodies how to meet their legal obligations under the Human Rights Act. The revised proposal, passed by 74 votes to 41 at Holyrood last night, will see the commission with one chairman and four other members to police human rights and work alongside the new UK equality and human rights commissioner. Robert Brown, the deputy education minister, said the changes would make the body more flexible and accountable to parliament. The parliament's corporate body would have financial control over the commission. Mr Brown told MSPs: "Individuals can only get the full benefit of human rights if they know what those rights are. Public authorities must have a similar awareness. The Scottish commission for human rights will help us achieve the modern, confident and inclusive Scotland we all want to see." But the SNP's Stewart Stevenson said the new body would do nothing but "book advertising" for human rights and persuade public authorities to "up their game". He added: "This bill is about the promotion of human rights within public institutions. "Individuals should be at the heart of our concern for human rights and this bill does not focus on that." For the Tories, Bill Aitken said the Executive had created "more tsars than the Romanov dynasty". He added: "This surely was a tsar too far." 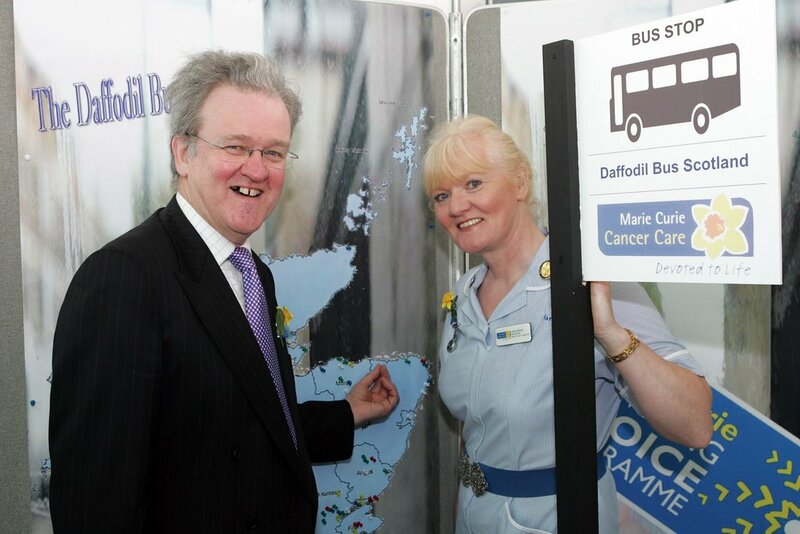 Banff & Buchan MSP Stewart Stevenson was kept busy at the recent Scottish National Party Conference in Perth helping to plan the route of Marie Curie Cancer Care’s “Daffodil Bus”. The Bus will be touring Scotland in march and stopping in local towns and villages in the North-east providing information on Marie Curie Cancer Care and, in particular, the choice to die at home. The charity has also released an economic report showing that caring for more patients at home would release funds which could be used elsewhere in the NHS. “I was delighted to help Marie Curie Cancer Care with their campaign at the SNP’s Annual Conference. “I think that they and other cancer charities provide an essential source of support for cancer sufferers and their families during often difficult times. Marie Curie Cancer Care employs more than 2,700 nurses, doctors and other healthcare professionals, and provides care to around 25,000 people with cancer every year, along with support for their families. “Although 75% of Scots would choose to die at home only 24% of Scots actually do. Lack of information on the choices available is one of the major barriers to enabling people to choose to die at home.